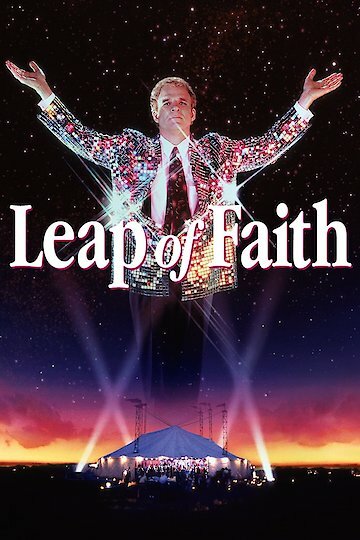 This 1992 movie centers on the acts of Reverend Jonas Nightengale (played by Steve Martin), an itinerant faith-healer whose greed seemingly knows no bounds. He blows into a small Midwest town with his large entourage of assistants, production crew, and Gospel choir, ready to bilk the naive population out of money they cannot afford to give up to him. Jonas' female assistant is loyal yet wanting for a better, wholesome life. The town sheriff is a good foil to Jonas; he is honest and truly cares about the people under his watchful care. Add a hopeful, handicapped boy with a skeptical mother and watch the interesting interplay between characters. Leap of Faith is currently available to watch free on The Roku Channel and stream, download, buy on demand at Amazon Prime, Amazon, Vudu, Google Play, iTunes, YouTube VOD online.